Both parties sort voters by color and gender. Though there's nothing new about promoting solidarity on the basis of genetics, it can get old really fast. One sees some utility in this brand of politicking, especially for Democrats. The party of Donald Trump has done its darnedest to offend the growing Latino electorate. But Republicans will get smart about this and reverse course. Even Trump? Especially Trump. As Trump continues his pivot to normality, his campaign will take a long shower and start making nice to women and Latinos — some of whom have shown interest in him, if only he'd stop attacking them. Memory is short, and Trump's skill at self-mockery could ease the transition. With his support of programs that help the working class, Trump could pick off chunks of the Democratic coalition. Note that the U.S. Hispanic Chamber of Commerce invited Trump to join a candidates forum in Washington (which he did not attend). While in no way an endorsement, this is not how one treats the devil. Democratic strategists expect America's rapidly growing Latino and Asian populations to guarantee their electoral success. But history shows demographic firewalls crumbling as descendants of recent immigrants become culturally indistinguishable from the older European stock. Meanwhile, the seeming obsession with minorities and women sends a "don't bother" sign to the white working class. Hostility toward dark people doesn't adequately explain why so many struggling whites have decamped for the Republican side. Consider how a white working guy might respond to a headline like this one: "White Man or Black Woman? Senate Race Tears at Maryland Democrats." The subject is the Democratic Senate primary race pitting Rep. Donna Edwards against Rep. Chris Van Hollen. The "conflict": Edwards, a black single mother, may be an attractive candidate, but Van Hollen has a long record as an effective progressive in Washington. There is no reason for liberals to abandon him unless they think race and gender are reason enough. EMILY's List apparently thinks so. Dedicated to promoting female candidates who support abortion rights, EMILY's List has put its resources behind Edwards. Many contributors who've worked with Van Hollen are fuming, as well they might. There's no item on the liberal women's agenda that Van Hollen has not championed, and, you know, there are other issues. There was a time when female candidates were a rarity, but that time has passed — and so has any rationale, frankly, for EMILY's List. Move on to the U.S. Supreme Court. President Obama has nominated Merrick Garland to fill the seat held by the late Antonin Scalia. According to a Washington Post analysis, "some top Democrats" are complaining that Obama threw away a "golden opportunity" by opting for "a mild-mannered white man." "If he had picked an African American, a Latino or even an Asian candidate — and especially a woman," the unnamed Democrats (allegedly) told the writer, "he could have helped energize the coalition that got him reelected in 2012 and arguably pushed his nominee onto the court." Set aside the reality that Republican leaders in the Senate have vowed to stop any Obama nominee. Ponder how such messages rile not only white men but also nonwhite men and women who regard themselves as intellectual equals (or superiors) to the sitting members and not tokens. Trump's magic formula has been to crush a political correctness that habitually puts white men in the stocks while breaking with the Republican Party on positions that hurt the working class. A toned-down Trump would move from a tropical storm to a Category 3 hurricane threat for Democrats. And identity politics would not be their friend. 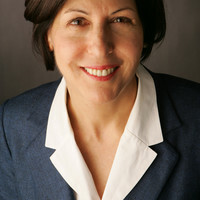 Follow Froma Harrop on Twitter @FromaHarrop. She can be reached at [email protected] To find out more about Froma Harrop and read features by other Creators writers and cartoonists, visit the Creators Web page at www.creators.com.